PCV Licence and Training Explained | What is a PCV License? PCV Driver Training – What is a PCV Licence? Now onto another potential confusing area which we will talk about here which is when conditions allow you to be able to drive a minibus “without” having a PCV licence. If you obtained a car licence before January 1st 1997 you can legally drive minibuses for non commercial purposes. A minibus is classed as a vehicle that does not exceed 8 metres in length and carries between nine and sixteen passengers. The vehicle weighs no more than 3500kg (maximum authorised mass) or 4250kg if the vehicle has additional equipment such as a passenger lift to allow the carriage of disabled passengers. * Another variation / rule is if a driver is over 70 years he/she can still drive legally on a car licence the driver must pass a PCV Medical and shown by the code of either 120 or (NFHR). So to sum this up if you need to operate a minibus professionally at all then you will need a Category D1 vehicle licence. Category D1. 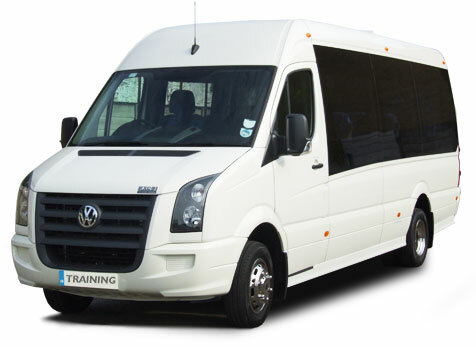 As seen earlier on this page above allows you to drive a minibus up to 16 seats, no longer than 8 metres in length and trailers are allowed up to 750kg. Category D1+E. This enables you to do the same as a D1 above but allows for heavier trailers to be towed. Worth noting the trailer must not outweigh the vehicle doing the towing and both trailer and vehicle combined must not be over 12 tonnes. 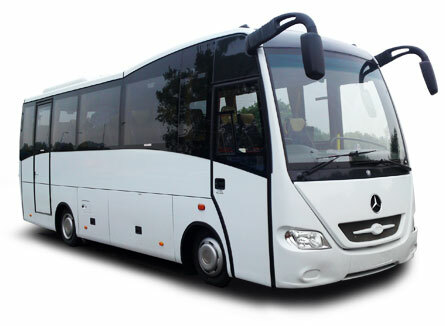 Category D. The category D licence is for Bus and Coach drivers who will be operating with more than 16 passengers and with trailers up to 750kg. Category D+E. This is the last and most advanced of the Cat D licences you can obtain. It enables you to drive a bus or coach with more than 16 passengers and towing a trailer heavier than 750kg. You also of course receive the acquired rights on all the other Category D licence types mentioned above. Check out our PCV Faq page for more information on the process. During your PCV training you will fulfil the initial CPC requirements. When training and testing is complete you will be presented / issued your CPC card. This card is good for five years. During those five years you must undergo 35hrs of further CPC training. By completing your training you can renew your card for a further 5 years. Driver Training Centre is a JAUPT approved driver CPC centre. For acquisition and renewal of qualification cards.